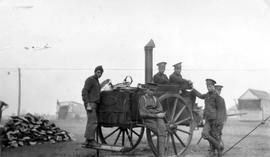 Caption by Anne Eby Millar: "The dinner bell in London." 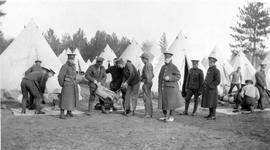 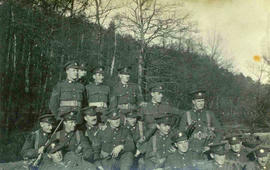 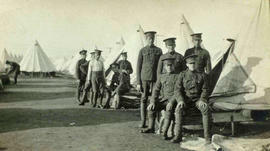 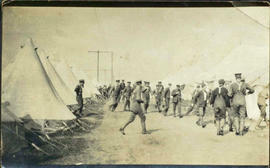 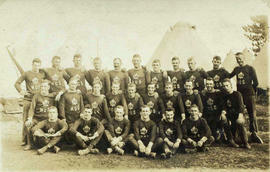 118th Battalion men in camp in London, Ontario. 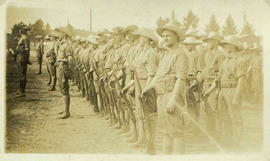 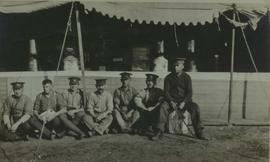 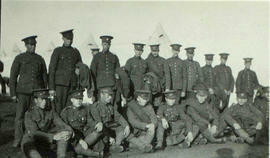 118th Battalion men posing (officer lying in front), 1915. 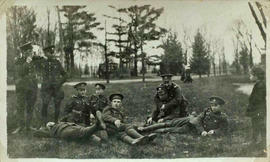 This is an unusual photograph because the officer is reclining on the ground in front of the men.